Our genome contains tens of thousands of long noncoding RNAs (lncRNAs), many of which are likely to have genetic regulatory functions. 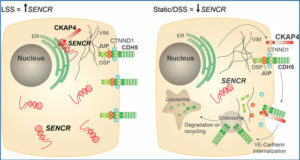 It has been proposed that lncRNA are organized into combinations of discrete functional domains, but the nature of these and their identification remain elusive. 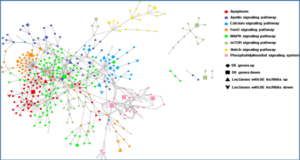 One class of sequence elements that is enriched in lncRNA is represented by transposable elements (TEs), repetitive mobile genetic sequences that have contributed widely to genome evolution through a process termed exaptation. 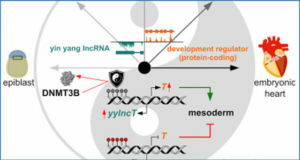 Here, researchers link these two concepts by proposing that exonic TEs act as RNA domains that are essential for lncRNA function. They term such elements Repeat Insertion Domains of LncRNAs (RIDLs). 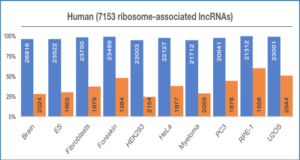 A growing number of RIDLs have been experimentally defined, where TE-derived fragments of lncRNA act as RNA-, DNA-, and protein-binding domains. 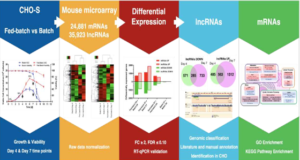 The researchers propose that these reflect a more general phenomenon of exaptation during lncRNA evolution, where inserted TE sequences are repurposed as recognition sites for both protein and nucleic acids. they discuss a series of genomic screens that may be used in the future to systematically discover RIDLs. The RIDL hypothesis has the potential to explain how functional evolution can keep pace with the rapid gene evolution observed in lncRNA. 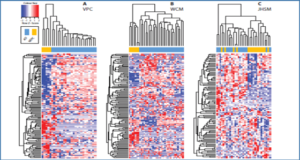 More practically, TE maps may in the future be used to predict lncRNA function.